Finally after a rather stop-start process over the summer, the BT(L) is finally complete. 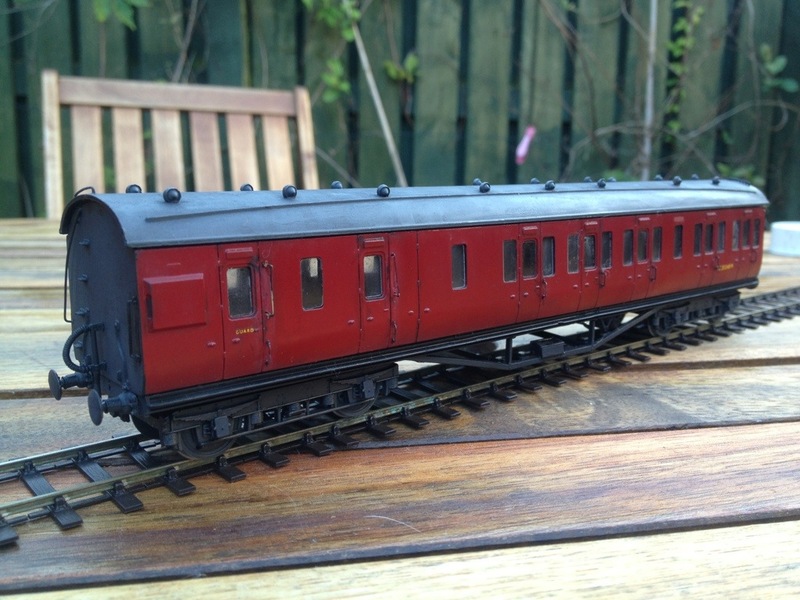 I’m pleased with how this model has turned out and though there are certainly imperfections it’s the first of probably half a dozen vehicles to come via a similar route. One thing’s sure; those Shawplan windows really lift things beyond any other type of previously available glazing. 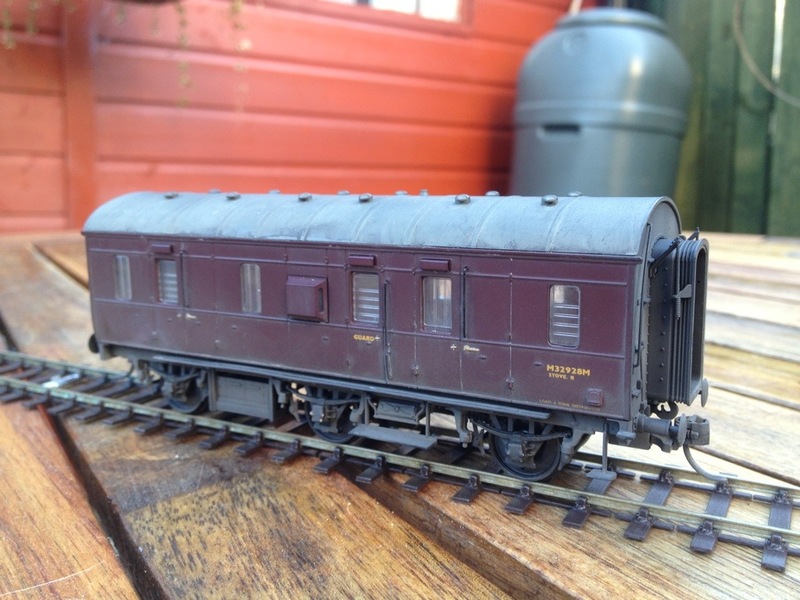 I’ve given the coach a notional ScR prefix to the number but as these lavatory vehicles were few in number it’s unlikely any saw service over the border and I may try some cheeky cut and shut methods to produce non-lavatory variants in future. Meantime I’m just going to bask in this model’s reflected glory while I await the new etched coupling rods that will allow me to move the Jumbo finally onward to completion! 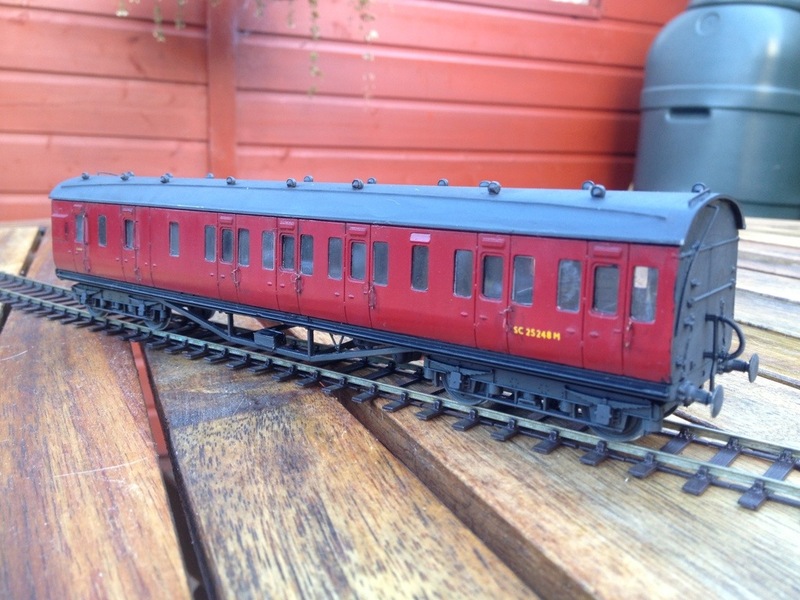 I’ve also been re-wheeling a number of pre-existing vehicles including a re-bogied and detailed ex-Lima LMS 40′ CCT (that one, Jamie!) and a ‘Hornby Magazine’ Stove R, known in this neck of the woods as a Stove (a)R(se) on account of the less than wonderful chassis provided with the model. It would be unfair to let this overshadow the model above the solebar which is, in fact rather good. The undercrackers were sorted out using a Brassmasters ‘Cleminson’ underframe which seems to work OK on a continuous run when fitted with OO wheels. How it will fare now it’s EM-ed and likely to negotiate pointwork may be another matter! 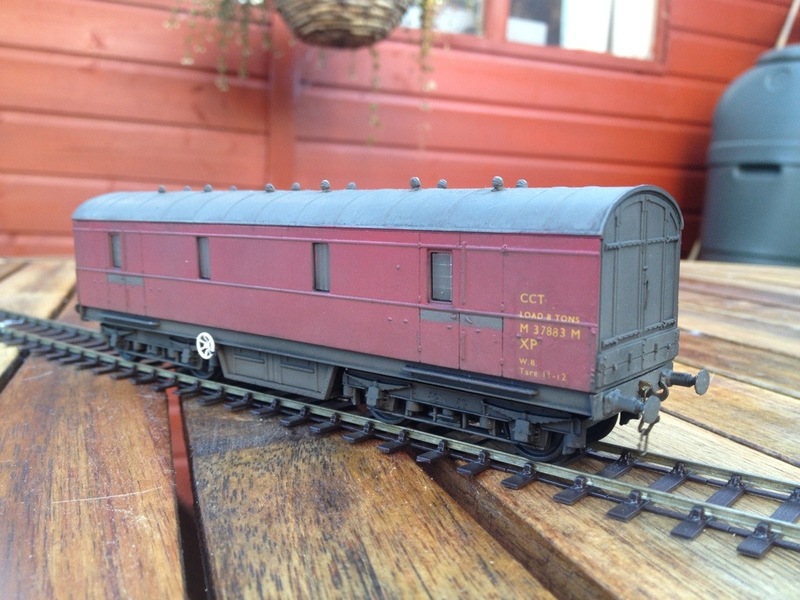 A fine job of the BTL Dave – it wouldn’t look amiss behind a Caley Passenger Tank of the 0-4-4 variety! Thanks Peter. I like to create an impression of working equipment that has received an appropriate level of care and maintenance.